Klassisk god smak och form!Gott tuggummi i form av en klassisk colaflaska med flytande cola fyllning. 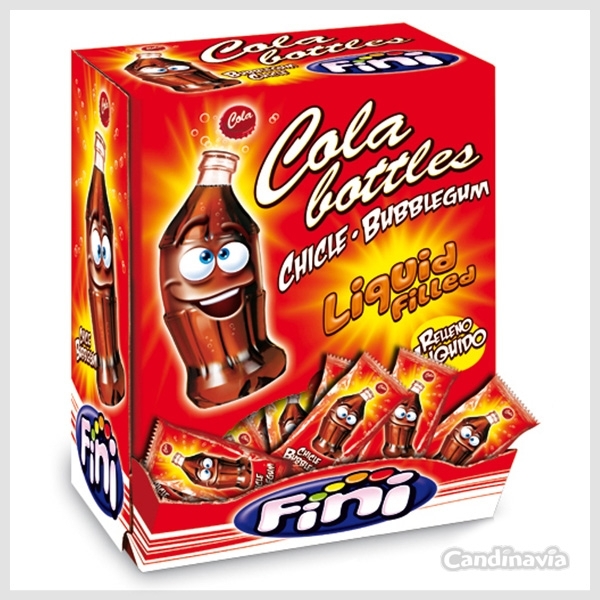 Chewing gum with form of a cola bottle and cola liquid filled. Each piece is wrapped individually. Box of 200 pieces.